Merchandiser Extender plugin. Upon theme update a notification will suggest that the new plugin should be installed. 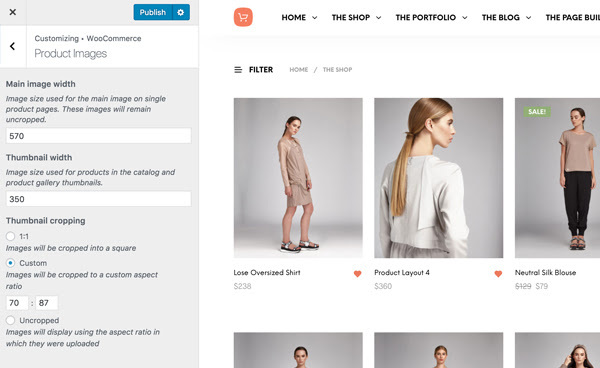 The plugin improves compatibility with the upcoming Gutenberg WordPress editor, making the current page builder elements (Posts Grid, Sliders, etc) available as Gutenberg Blocks as well. As usual, various other styling fixes and improvements were made for consistency and compatibility purposes across browsers and devices. Right after updating the theme to version 1.1.5, you should see there's a new update available for the Get Bowtied Tools plugin, right under the Plugins section. The plugin was fully rewritten to make the installation and the maintenance of the theme easier. Fixed a bug causing the Product Page to break when only 1 image is used. 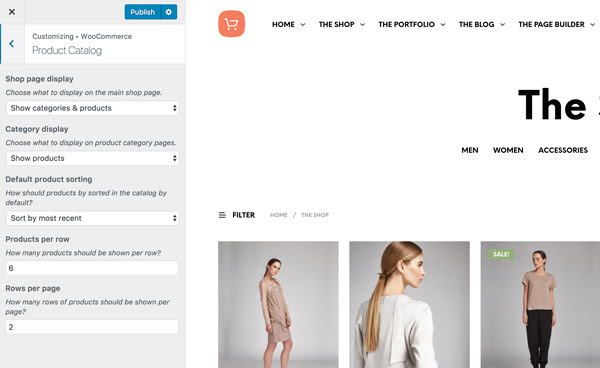 Fixes outdated templates in WooCommerce 2.6.3. Note: If the child theme you're using is still asking for update, please reinstall the "GetBowtied Tools" plugin. Navigate to the Plugins section to deactivate and delete it, then you'll be prompted to install it again, this will get you the latest version. This is just a small maintenance udpate that includes visual / front-end fixes for consistency and compatibility purposes across browsers and devices.